Amie joined the practice in August 2007. She gained the National Certificate in Dental Nursing in 1995. She went on went on to gain the Oral Health Educator Certificate in 1996 and the Certificate in Dental Anaesthetic Nursing in 1999. 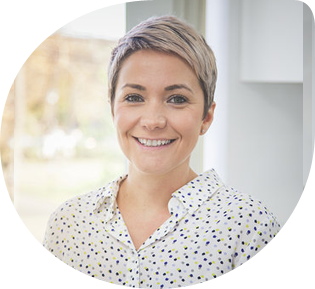 The Health Educator Certificate enables Amie to provide oral health sessions for our younger patients where she discusses tooth brushing techniques and diet advice. More recently she has gained her NVQ level 2 and 3 in business administration. Amie has 2 children who keep her busy but she enjoys reading and keeping fit.